The Yerba Buena Center for the Arts in San Francisco is hosting a week-long series of events, Oct. 7-12, 2013, celebrating Bill T. Jones/Arnie Zane Dance Company‘s 30th anniversary. The events included a symposium, Just Enough, Just In Time: Bill T. Jones In Reflection of 30 Years, that featured conversation with Ananya Chatterjea, author and critic Marcia Siegel, and curator and writer Adrienne Edwards. Chatterjea is a scholar and artistic director of Ananya Dance Theatre; this monograph reflects her prepared remarks. July 2013: Marc Bamuthi Joseph is on the line, asking me if I’d write about the work of Bill T. Jones in the context of social justice for this monograph. Bam! I am thrown: (a) Bamuthi is an artist and thinker whose work I deeply admire and (b) I love Bill T. Jones’ work but I don’t know how I feel about his connection to social justice. Let me explain: I have spent a decade articulating the distinction between “political” art and art made with the goals and orientation of social justice. I arrived at my understanding of this difference through my many years of work with activists and organizers, who sometimes have a distrust of artists. To activists, who work dedicatedly for years on particular issues, artists sometimes seem unreliable – people who occasionally champion a “cause” in their work, harvest the acclaim they receive from it, and then move on to doing other work. I have come to model my own choreographic practice, which claims to have a location in social justice, from this understanding, so that the creative process is dotted with conscious decisions about equity and creating access, and multi-year projects that offer opportunities for sustained investigation of issues. Bamuthi’s choreographic process is also structured similarly, where the concert production is part of a long process of locating artistic practices in community. Bill T. Jones’ process seemed different, and while he has spoken regularly about the political ideas in his work, there was no public record that I could find of him claiming social justice. At any rate, accepting Bamuthi’s charge started me off on a long and intense exploration about social justice choreography. Remembering the corpus of Jones’ work, I had to pause and think carefully: Is the difference I am making only ideological, in how different artists think about and name their work? Or is it generational, and are artists of color now able to claim the language of social justice because of the barriers previous generations of artists and thinkers broke down for us? Or do performing artists need to model different ways of imagining our social justice work? Can artists, who have stayed away from the language of social justice, still end up creating work over a length of time that causes transformation and shifts? Does Bill T. Jones’ continuous return to choreographies that draw attention to the politics of bodies amount in fact to a commitment to social justice? “What time is it?” Bill T. Jones’ repeated questioning of place and time, of location, his gestures drawing into his body, particular body parts, the specificity of his black queer body: moments from his 1992 solo Last Night on Earth flash past my mind as I think about what it means to intersect art-making and social justice at this time, the summer of 2013. What does it mean to stay attentive to black male bodies, especially now? What are we to make of Bill T. Jones’ repeated insistence on presencing: placing his body among ours, shifting our visual imaginaries and consequently, our thoughts, for over 30 years? Might it be meaningful to think of the artistic labor of Bill T. Jones as a sustained emphasis on staging certain kinds of bodies – very often non-normative bodies – in complex configurations that defy popular expectation? As a refusal to let certain kinds of bodies disappear from visuality or memory? Still/Here (1994), inspired by workshops and conversations with people coping with terminal illnesses, juxtaposed the idea of the declining body alongside dancers’ bodies that embodied super-ability, reminding us inevitably of the intertwined fragility and heroism of human endeavors. And the “dissed blacks, abused women, or disenfranchised homosexuals” that The New Yorker’s dance critic Arlene Croce summarily dismissed as being featured in dance she could only classify as “victim art,” certainly find their way into Jones’ creative world, along with a host of other human beings. Together they remind us that Jones dared to assert, over and over again, his vision of a shared and non-negotiable humanity. Popular definitions of social justice have suggested that the goal of such work is the “full and equal participation of all groups in a society that is mutually shaped to meet their needs. Social justice includes a vision of society that is equitable and all members are physically and psychologically safe and secure.” And indeed, if we look through Jones’ oeuvre, it might strike us that his most sustained insistence has been on claiming a complex and multi-layered subjectivity through choreography that is complex, multi-layered, and always richly metaphorical. Repeatedly, Jones has mediated the hypervisibility and sometimes the invisibility of the black body by surrounding it with a high level of aurality, talking to his audiences continuously, during performance and outside of it. His work has reminded us again and again that representation by itself is not enough of a move towards equity, rather it is in how that visibility is marked, that the possibility of change lies. What if, instead of measuring Jones’ work against our socialized expectations of a queer African-American choreographer, we listen to what in fact he was claiming as within his reach? Would we then see that Jones’ works are repeated statements of a full and layered humanity, charged by the words of the protagonist of Ralph Ellison’s The Invisible Man: “What and how much had I lost by trying to do only what was expected of me instead of what I myself had wished to do?” At a panel discussion at the 1989 Black Choreographers Moving Conference, on the question, “Will the black choreographer always be black?” Jones articulated a nuanced response: “How important will that [question] be in the year 2050, as opposed to what it is now?…I can imagine a time when, no, it would not be important for a generation of young people to say that they are Black. Right now, it is very important… What purpose does Black choreography serve in the total artistic community of the world today? Is it important for Americans to be able to look at their Black choreographers as the repository of our history of a certain kind of social voice of protest of moral reckoning?” Jones’ own choreographic work certainly seems to signal some impatience towards the oppressive boundaries of social categories and gesture towards that time when markers of identity would be starting points, but allow for unfettered exploration. Perhaps it is most productive to reflect on Jones’ career as moving through enduring efforts to unhinge the fixed parameters of expected black/queer/ness and constantly search for a fullness of his human expression. I am reminded of scholars Catherine Hundleby and Phyllis Rooney’s argument that a conceptual framework of “just reason” that works with a liberatory epistemology is core to social justice studies. “…just reason shows us social justice as a process of reasoning (among other things)… It is a way of positioning ourselves for democratic engagement.” I believe Bill T. Jones’ insistence that positioning in engagement and manifestation of just reason be made apparent in abstract choreographic design, through what he calls “dance intelligence,” is yet another marker for arts communities to imagine justice and equity in our own ways. During a talk at the University of Michigan, Jones talked about the idea of “the impossible task” that fascinated choreographers in the ’70s. 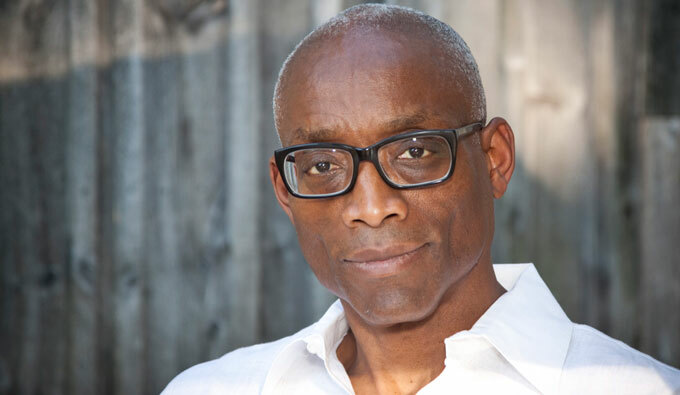 Bill T. Jones is the choreographer who insisted on staging striking yet dangerous images of queer bodies of color through the relentless culture wars of the ’80s and ’90s; whose choreography of Uncle Tom’s Cabin staged a mass of naked bodies despite the governmental injunctions and the anti-obscenity initiatives in 1990; who drew attention to the non-productive bodily labor of dance and to the messy, unfixable body, through a decade that saw unprecedented rise in capitalist deregulation; who continues to speak and make dance as he remains responsive to the world in which he is living. And perhaps his greatest legacy in the world of social justice art lies in the “impossible task” he gave himself to stay engaged, in the face of opposition and dismissal, and continue to invest in the democratic vision of full subjectivity. Arlene Croce, “Discussing the Undiscussable,” The New Yorker, Dec. 26, 1994, p. 54. Maurianne Adams, Lee Anne Bell, and Pat Griffin (eds. ), Teaching for Diversity and Social Justice: A Sourcebook, 2007, New York: Routledge, p. 1. Ralph Ellison, The Invisible Man, 1952, New York: Random House, p. 7. Halifu Osumare and Julinda Lewis-Ferguson (eds.) Black Choreographers Moving, 1991, Expansion Arts Services, pp. 94-95. Amanda Smith, “Making the Personal Political,” The Village Voice, April 24, 1984, p. 75. Catherine Hundleby and Phyllis Rooney (2010), “Just Reason” Studies in Social Justice, 4:1, 1-6, p.5.